Windows 10 includes feature where you can directly print your web page or any document to PDF file. 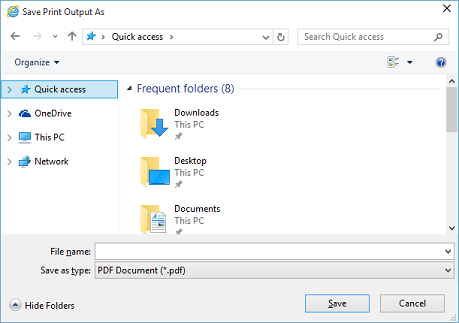 Follow below simple steps to print web page or document to PDF file in Windows 10. Open web page or document that you want to print. Select 'File-> Print' option from Application. 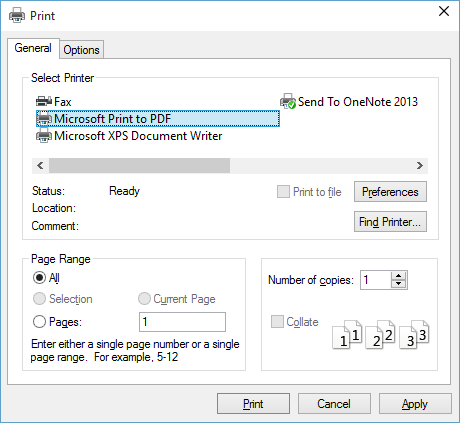 In 'Print' Settings dialog, select 'Microsoft Print to PDF' as printer, and click on 'Print' button. In 'Save Print Output As' dialog, select location and filename for your PDF file, and click on Save. After print is complete, you can find new printed PDF file at your selected location.